A brilliant second story about the troublesome little dog who finally discovers his own name. When Elephant and Hippo are nasty to Tortoise, he shows them that while he may not be big, he certainly is brainy. A counting book with flaps and die-cut pages. Very pleasing. Set in a meticulously handcrafted-paper-modelled French village, the uniquely vibrant laugh-out-loud world of Nanette’s Baguette may be Mo’s best creation yet. A very funny, charming story all about the futility of fads and the joy of finding your own style, full of brilliantly inventive hats for children to spot. 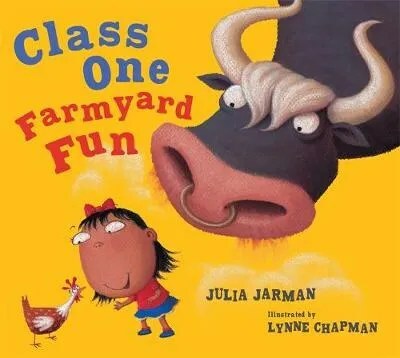 Vigorously and rhythmically told with bold rumbustious illustrations this is a fabulously entertaining picture book about a class trip.